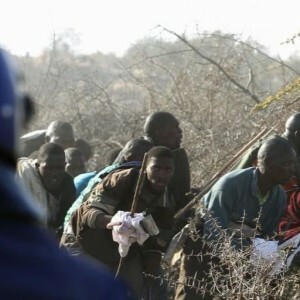 Most people in South Africa know about the fatal shootings at Marikana platinum mine on 16 August 2012 as police attempted to break up a week-old strike. But the television footage showed just one of two major fatal episodes on that day. Police first shot 17 striking miners at what is known as Scene 1. Another shooting started 15 minutes later, near a small koppie now referred to as Scene 2. At this location, 500 metres from Scene 1, another 17 strikers were shot dead. Many of the questions about what happened at Scene 1 have been answered, but what happened at Scene 2 has remained largely a mystery. After months spent sifting through ballistic and forensic evidence, and reading statements of police and survivors, and arguments presented to the Marikana commission, events at Scene 2 are now clear. The account of what actually happened at Marikana Scene 2 – recently published by the Institute for Security Studies – is the most comprehensive to date. The initial public explanation by former South African Police Service (SAPS) national commissioner Riah Phiyega, in a press statement, said strikers were fired at after they ‘stormed towards the police firing shots and wielding dangerous weapons’. This statement was itself a distortion of an account Phiyega received the previous night from SAPS commanders at Marikana. Her media statement nevertheless provided a useful template for police officials trying to justify their killing of unarmed miners. In the days immediately after 16 August 2012 the Independent Police Investigative Directorate (IPID) received numerous statements from SAPS members which evoked a picture of police being attacked by strikers in full warrior mode. There are difficulties with these accounts. At least 10 of the miners were shot by police while in a group among the bushes and boulders. Photographs taken from police helicopters show them trying to take cover, apparently from police gunfire and a water cannon. One of the explanations that some people accept for the killings at Scene 2 is that the strikers were executed. But this may be misleading. There is no single narrative to account for all of the deaths. The first striker to be shot dead at Scene 2, Mr Mkhonjwa, was probably part of a group of strikers who ran out of the area, some still carrying weapons, in flight from the police. They ran towards another group of police who had been told the strikers were dangerous. The police who killed Mr Mkhonjwa may therefore have been acting out of fear. They knew two of their police colleagues had been killed by strikers three days before, and they may also have been told that the strikers had attacked the police at Scene 1. In his statement, one of the police involved in the shooting said he was panicking. A different type of explanation is called for in respect of most of the killings at Scene 2. One factor was confusion. Police units had started shooting into the area from several different sides. This created the impression among some police that strikers were firing at them. But police were not in immediate danger. Disciplined police units would have held their fire and taken cover. Their first priority should have been to clearly identify who was shooting at them. Those who became most enthusiastically involved included members of the National Intervention Unit. Members of this unit first gunned down two fleeing strikers. Five of them, and a SAPS major general, then clambered onto some high rocks. From this vantage point the strikers cowering among the boulders roughly 40 metres away would have been visible. Some strikers raised their hands in surrender but this did not stop the major general and National Intervention Unit members from shooting at them. At Scene 1 the shootings took place within full view of television cameras. But at Scene 2 SAPS members were no longer under media scrutiny. The police shooters are likely to have believed they could act with impunity and avoid accountability for their actions. Most of the shootings at Scene 2 are likely to have been driven by vindictive hostility to the strikers, partly motivated by the killings of two police officers by strikers earlier that week. It is now six years since Marikana. From the day of the massacre, when police planted weapons on the bodies of the dead, the SAPS closed ranks to protect itself from being held accountable. This cannot be the end of the matter. The police should not be allowed to kill people without accounting for their actions. In respect of Marikana Scene 2, they have so far failed to do so. The ISS report by David Bruce, The sound of gunfire: the police shootings at Marikana Scene 2, was published this week and is available here.